Coalesce 2013, the new event introduced by the Department of Tourism Studies was held on Saturday, 20 July to exhibit the cultural talents of the students of BCom (Tourism and Travel Management). 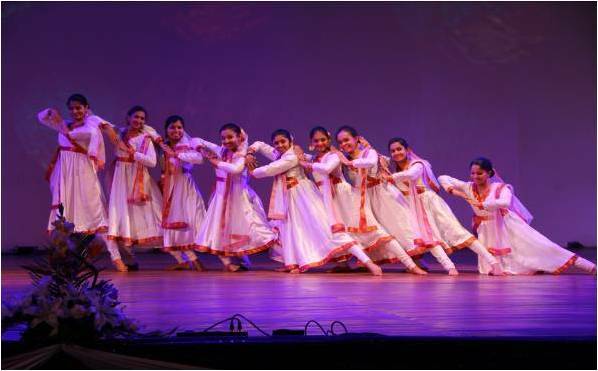 The students came together and actively participated in various extra-curricular activities like theatre, dance, and singing, to name a few. The aim for hosting the event was to promote the organizational skills of the students and encourage working together in teams. The program was organized under the watchful guidance of Rev Fr Varghese K J and the Coordinator, Department of Tourism Studies, Dr Joby Thomas. The function started at 9.15 am with a Promo video on Department, followed by Lighting of Lamp and welcome speech. New office bearers were announced and various activities conducted under the association were reported with a mention on future plans. 1. 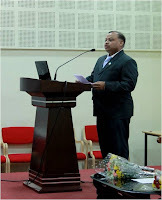 Dr. A L SHASHI MOHAN, Dr R.N.DAS, Chief, Corporate R&D, BHEL, Bangalore -was the chief guest and delivered the Invited Talk on Industry Institution Interactions-need and challenges. “Academia Industry Conclave” started from 11.15pm with three speakers delivering their lectures. 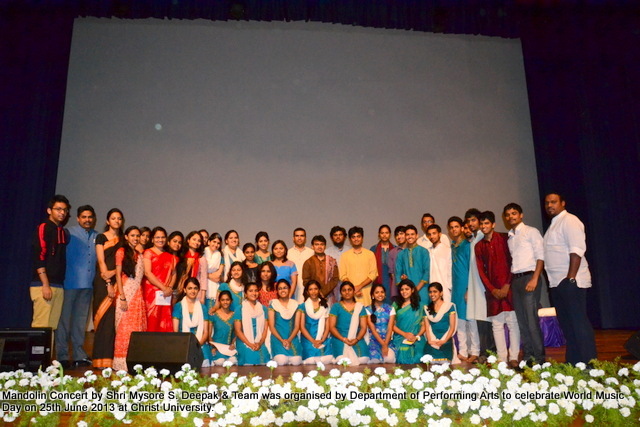 All students and faculty attended the programme which ended at 1.15 pm. The Industry – Institute Interface organized with Mr. Venkateswaran Raman , Senior Traffic Superintendent, Air India from 09:00AM to 11:00AM on Saturday, 13 July 2013 served as an introduction to the Aviation industry for the first year BCom(T) students, a session on career direction to the second year BCom(T) students and an eye opener to employment opportunities in the field of Airlines and Aviation Management for the third year BCom(T) students. 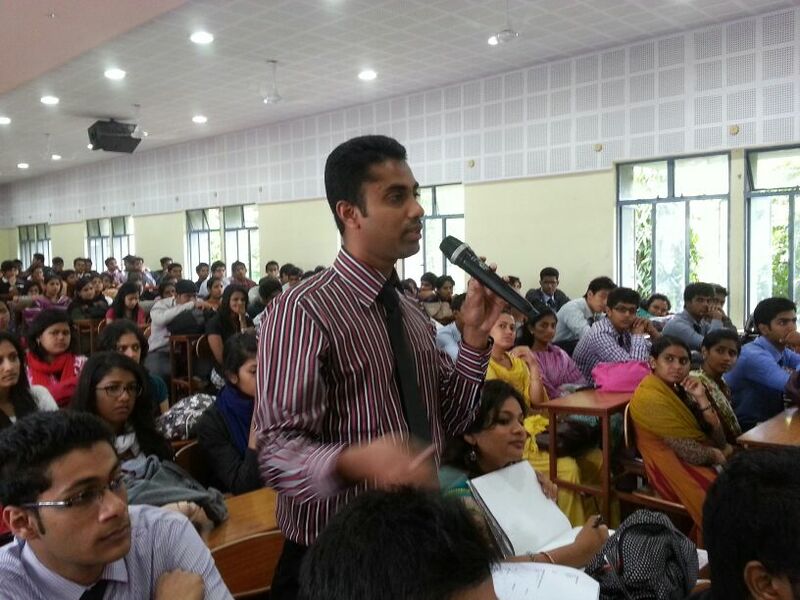 Mr Raman addressed the students on the significance of effective customer service handling in the present Airline Industry. He introduced the students to the ground handling procedures followed in both domestic and international terminals of airports, and the refresher courses offered to all employees, every two months to fine tune their customer service skills. 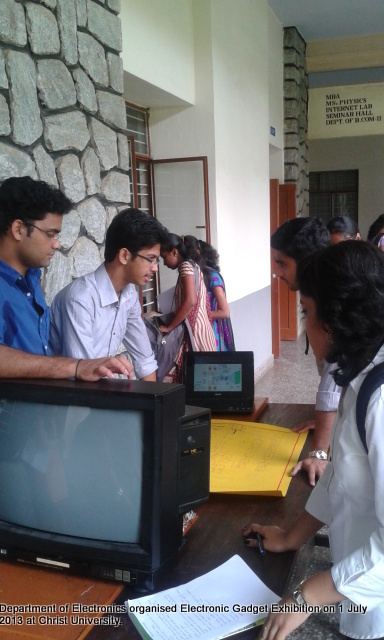 Mr Raman also familiarized students with the different types of passports and the different kinds of check-in procedures available such as online, kiosk, mobile, city and one short check-in. He also spoke about the current scenario in the Aviation industry and the various challenges that the industry is facing. Mr Raman concluded the session by encouraging all the students to perfect their skills and strengths, to ready themselves for the innumerable career opportunities that the Travel and Tourism industry has to offer. The Tourism Association Activities & Konkurrenz 2013 was inaugurated on 10 July 15, 2013 at Campus View, 10th floor, Central Block. The initiative is an inter class event held by the Department of Tourism Studies to develop the overall personality and communication skills of the students. The activities are used as a platform to instill confidence in the students, explore their latent talents and mould them into professionals, most apt for the hospitality industry. The Chief Guest, Ms Anita Raja, Regional Manager, Royal Caribbean Cruises, Bangalore gave an insight into her work experience in the field of tourism for close to twenty years. Mr Dennison Joseph, the Guest of Honor is currently working with Thomas Cook as Manager, MICE. Mr Dennison, an alumnus of Christ University and the president of the Tourism Studies Alumni Chapter was also the Brain behind initiating Konkurrenz during his student days. As part of the function, the list of activities to be organized in all classes was presented by Ms Sanjana and Mr Arjun from BComT and by Mr Madhusudhan from MTA. 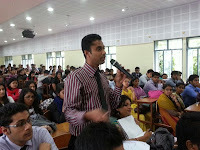 A quiz & ‘surprise’ skits were also organized by the students. 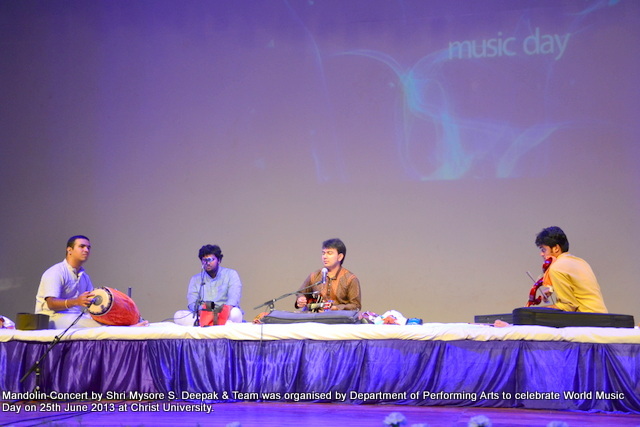 The world music day celebration was conducted by the Department of Performing Arts on 25th June in the form of a Mandolin concert. 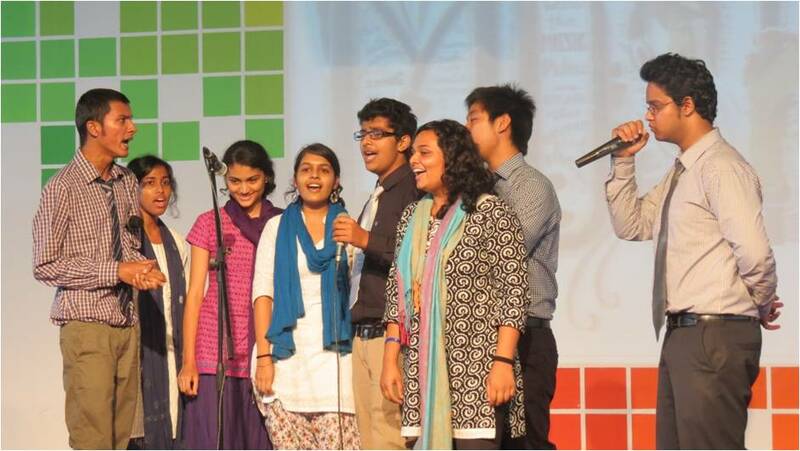 The effort was spearheaded by Ms. Chitra S., music faculty along with Mr. Prabin Villareesh, Mr. Mohammed Arif and Ms. Rajashree Das from the Department. The artiste for the afternoon was Shri Mysore S Deepak who is an engineer by qualification, academician by profession, a full time musician and Vice Principal of Sri Vidya Kala Kendra. His team comprised of Aniruddha R Nadig on Violin, BS Prashanth on Mridangam and the morsing was done by Karthik Y Dhatri. The concert had three parts to it. In the first part, Mysore S Deepak and team took us through few famous compositions of Carnatic music which were harmonious and beautiful. Second part consisted of a short session on some basic technical concepts of Carnatic music and the last and most entertaining session was the one with a few popular Tamil and Hindi songs being played on the instruments. The most exciting part of the concert was the ongoing beautiful dialogue between the artistes through their instruments. The show was well appreciated and enjoyed by the audience who became patrons of music for that marvelous one and a half hour. 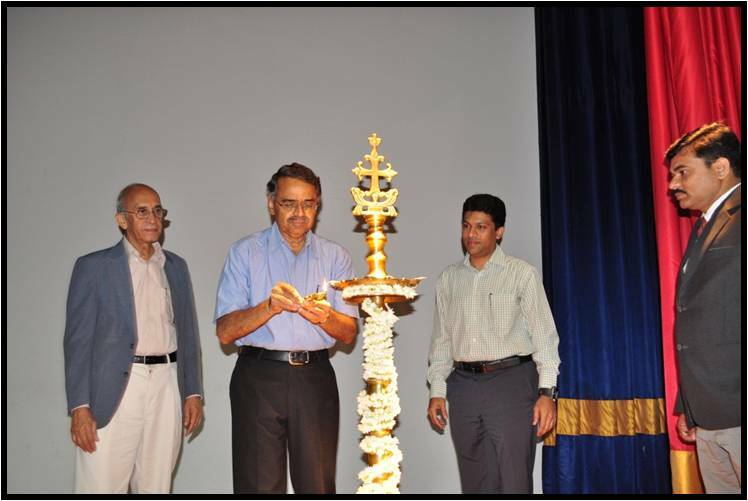 The inaugural ceremony of the Economics Association was held on July 10, 2013 in the main auditorium at 9.00 am. . 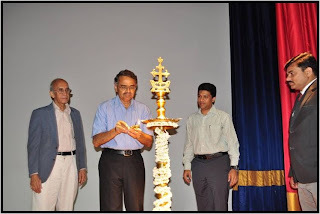 The Economics Department was indeed lucky enough to have Dr. Srinivasa Gowda (Adjunct Professor, NIAS) to grace the ceremony with his esteemed presence as the Chief Guest. The inauguration started with a dance performance by a 1st year M.A student which was followed by the lighting of the lamp and the prayer song. Prof. Greeshma Manoj, Coordinator of the Economics Association gave the welcome address and also spoke about the journey the economics association embarked keeping in mind the goals for the future. That was followed by an address from Prof. John Joseph Kennedy, Dean of Humanities and Social Sciences where he inspired the audience by explaining the relevance of Economics in the globalised context and also congratulated the dept for the good job over the years. The message from the Chief Guest, Dr. Srinivasa Gowda was more of an educational one. 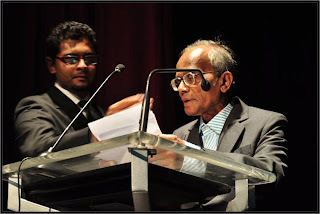 He opened the minds of all the young aspiring students showing them the way ahead, what lies ahead in front of us. He was truly the beacon of the august gathering. The inaugural address was followed by the introduction of office bearers of the Economic Association for the academic year 2013-14 by Prof. Joshy K.J. This was immediately followed by a speech by Ms. Jacqueline Pinto, President of the Economic Association who took us through the activities that are lined up for the coming academic year and what the Economic Association is all about. 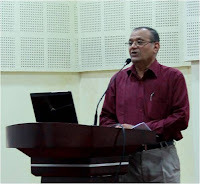 The Ephemeris, which is the monthly newsletter of the Department of Economics, was released by the Chief Guest which was then continued by a speech by the Editor of The Ephemeris. Vote of thanks was given by Dr. Rajeshwari which concluded the two hour ceremony with the University Anthem The Economics Association hopes to keep up to the motto – Excellence and Service for the coming academic year and strive to be a shining light for the University. 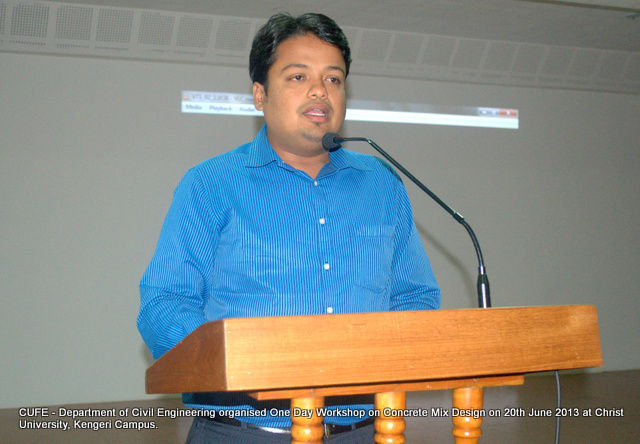 The Inauguration of MFM Finance club Arthavikas was held on 28-06-2013 at Central Block, C911. The Club was inaugurated by the Chief Guest Mr.Gautham Athawale, senior consultant, Fidelity Investments, Head of the Department Dr.Jain Mathew, Academic Coordinator Prof.Suresha B and the Guest of Honor Prof. Shriram. Chief Guest addressed the audience on alternate investments in India and its impact on Indian economy. Prof.Suresha B addressed audience on need for activity and experienced based learning and its role in holistic development of students. 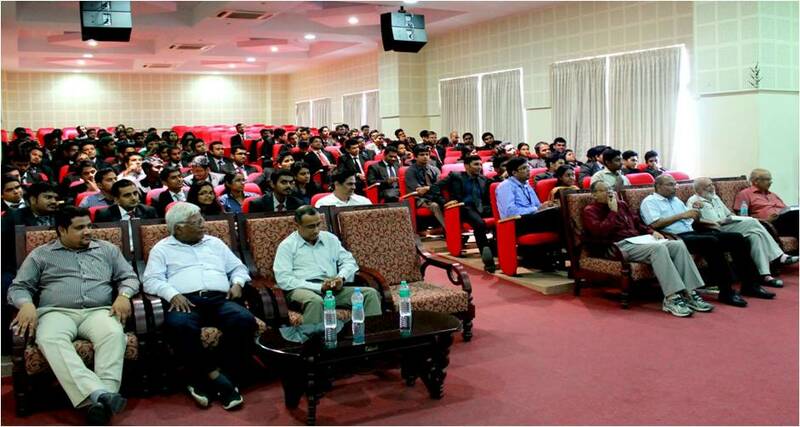 Prof.Shriram addressed the audience on role and challenges of youth in the financial sector in India. The Chief guest and other members of the dais also released the copy of the first edition of FINOMETRICS the exclusive financial news letter of the MFM programme. 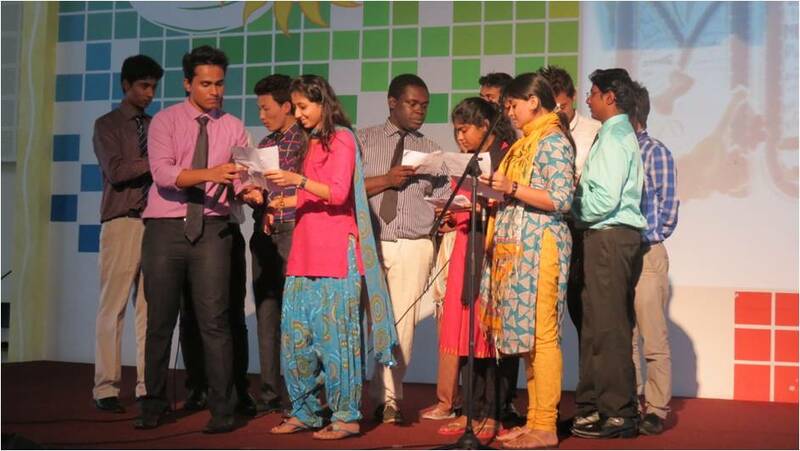 The programme was culminated with the thanks giving and university anthem. A workshop on therapy through expressive artsThe Department of Psychology organized a three day workshop on Restoring Safety to the Shattering of the Temenos from June 17th- 19th, 2013. 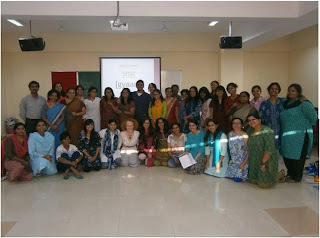 Thirty Three participants representing a cross-section of counselors, students and others who had a keen interest in therapy through art attended the workshop. 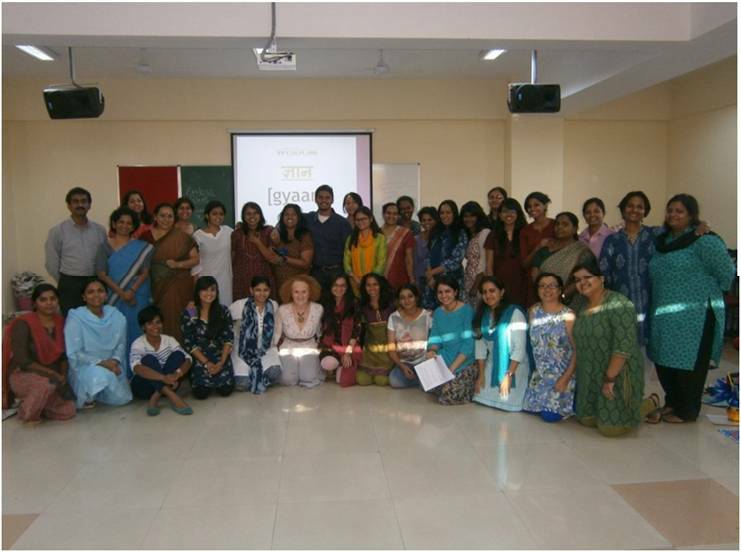 The facilitator for the workshop was Dr. Kate Donohue, Registered Expressive Arts Therapist from California. The focus of the first day of the workshop was on an introduction to Expressive Arts Therapy and the language of images. On the second day of the workshop, the resource person helped the participants understand the nature of trauma experience and gain knowledge about the various stages of trauma recovery. The first stage of trauma recovery which was Building a healthy relationship, trust and safety was also explored on the same day. On the final day of the workshop the participants understood the second stage of Remembrance and Mourning and the third stage of Reconnection: recovery and creation of new life. The workshop has given valuable insights on using Expressive Arts Therapy to help individuals recover from trauma. 26th June is observed as International Day against Drug Abuse and Illicit Trafficking by the United Nations. The theme for 2013: Make health your 'new high' in life, not drugs. 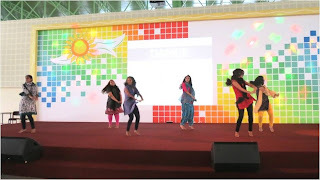 The NCC at Christ University organised a programme on Wednesday 26 June 2013 in support of this Day against Drugs.The special guests present were the Pro-Vice Chancellor of Christ University Fr. Abraham, Administrative Officer of 9Kar Bn NCC Lt. Col. Sanjeev Tandon and Dr. Tony Sam Head of the Department of Psychology, Christ University. The first presentation for the day was a skit by Zealous Productions, the in-house theatre team. They presented a street play on drug abuse which took the audience through the comedy and seriousness about drugs, with emphasis on peer pressure due to which individuals resort to extreme solutions, and finally how to resolve such addictions. Dr. Tony Sam addressed the gathering on “Drug Abuse and Youngsters”. He presented the raw facts and statistics and explained what exactly drugs are doing to our society and what we need to do to combat it. Next was the prize distribution for the poster-making competition which was conducted for the NCC cadets of the university. In first place was Cpl David Sebastian, followed by Cpl Nancy Mathew in second and Cpl Revathi in third place. Consolation prizes were also given to CSM Sachin D S and Sgt Yatish G. Fr. Abraham awarded the prizes to the cadets. Lt. 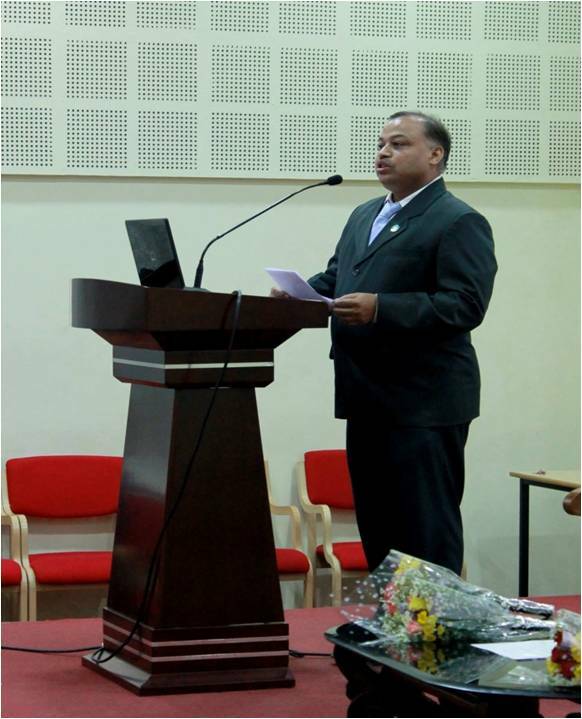 Colonel Sanjeev Tandon delivered the Presidential Address. He pointed out to all present that personally one should not only Say No to Drugs, but also be consistent in making a long-lasting change in the society by helping those who need help. He also appreciated the efforts of Zealous Productions in coming out with such an apt street play. The programme was a success and brought to light a matter that should be discussed instead of being treated as taboo. The efforts of Christ University NCC and in particular Capt. Ajay Pavithran and Lt. Phinu Jose were appreciated by all. Quality Circle for the academic year 2013-2014, was inaugurated on June 21st in CUIM city campus. 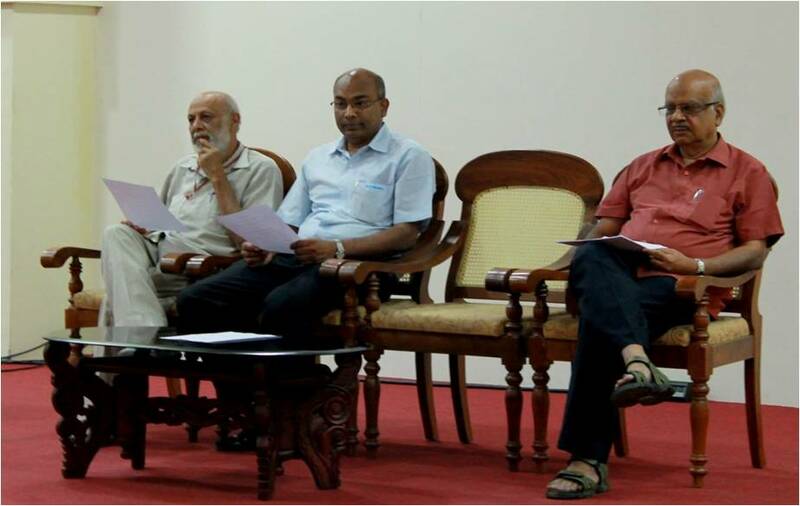 The chief guests who presided over the function were Mr.Jagadish Prasad, Mr.S.K.Venkataraman and Prof.Shivanandam. The faculty who were present were LOS HOD Prof.G.Ramachandran along with Prof.Gangadhar, Prof.Arcot Purna Prasad, Prof.Dakshinamurthy,Prof.Rita Malik, Prof.N.Ramakrishnan and Prof.Ansuman Chatterji. 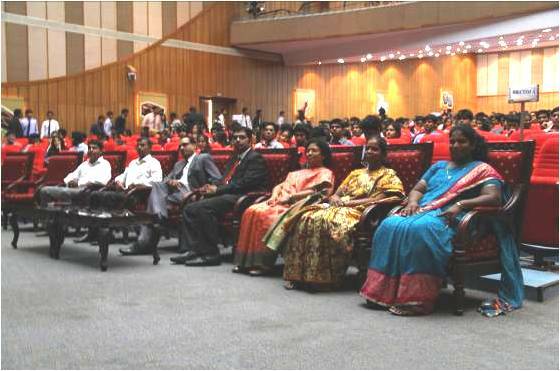 The inaugural speech was given by LOS HOD Prof.G.Ramachandran, who was happy to note that the strength of LOS students increased each year, right from its inception in 2009 and also how programs related to Quality was improving and increasing for each academic year and also the enthusiastic response of students to it. He was also happy that LOS students had completed successfully Six Sigma Green belt certification by KPMG, which helped students to understand tools and techniques to tackle and improve quality not just in work but in all aspects of life. He wanted students to experience practical problems in implementing quality and this year with the formation of 22 QC teams and competition among them, he was sure that students would have a lot to learn. Mr.Jagadish Prasad, chief of QCFI Bangalore, enthusiastically shared his wisdom and knowledge by being in the field for quality for more than two decades. His passion in the field was evident when he explained the example of Shavigebath,which was inspiring and indicated to us, that with proper use of knowledge, even laymen can implement quality in preparation process of a food item. He also outlined various activities of QCFI to tell people that “Quality is not an accident, but that it is an intelligent choice”. Next, Mr.S.K.Venkataraman, popularly known as “Man with the eyes of an eagle” addressed us. He stressed upon how adequacy and accuracy are two important perspectives and when combined with decision making capability, how it helps us to understand the depth and clarity of the problem and find a solution for it. He also explained to us the importance of customer focus, adequate leadership, symbiotic relationship between customers and suppliers(both internal & external), process orientation, systems approach, concept of quality spiral, importance of being in present moment, striving for win-win situation, Quality triangle etc. He also explained how people formed an integral part and can either make or break a system. He also told us the 5 important essential qualities required for each individual and he explained all this by beautifully correlating Indian Vedantic principles with that of Quality. Prof.Shivanandam too shared his experiences and knowledge with many real life examples like BEL blood bank, leave applications etc. 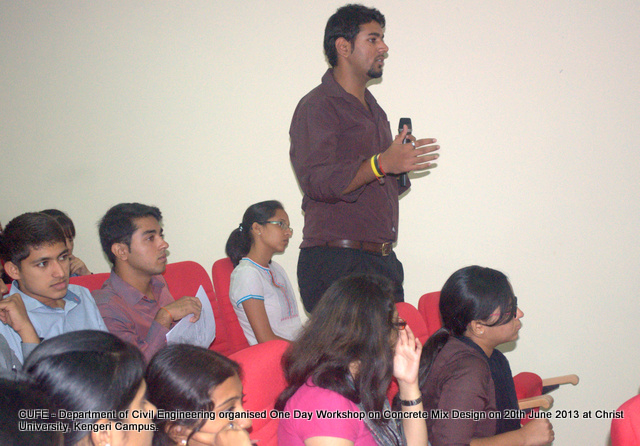 He shared his experience with QC case studies and formed 22 team from both City and Kengeri Campus. The 22 teams would be given live real-life problems and would be asked to work on it and develop implementable solutions with the guidance of the stalwarts who inaugurated the QC circle. The teams would compete with each other and be rated on their performance based on their approach to the problem and solution. He wished all the teams a very good luck. Thus LOS students had aninspiring and enthusiastic start of the QCcircle and are looking ahead for the challenging tasks of tackling real life quality problems. They are also looking forward to learn from experiences got from implementing quality in live problems that would be given to them and the knowledge and wisdom that would be shared with them by experienced faculty who would be helping them in this exercise. Vote of thanks was given byQC coordinator Prof.Arcot Purna Prasad who encouraged and wished the students good luck for the challenges that we would face in tackling real life problems. 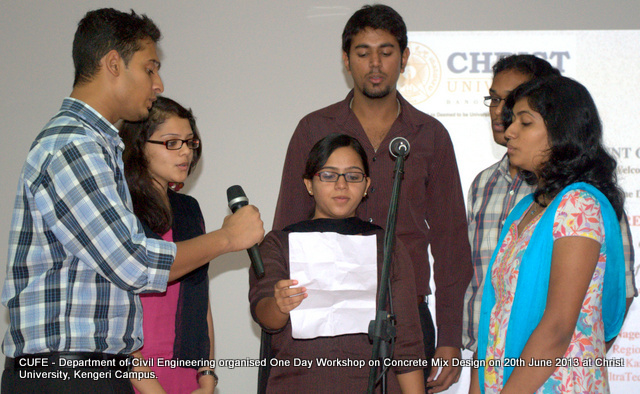 The Christ University Commerce Association is one of the most dynamic association of the Department of Commerce. 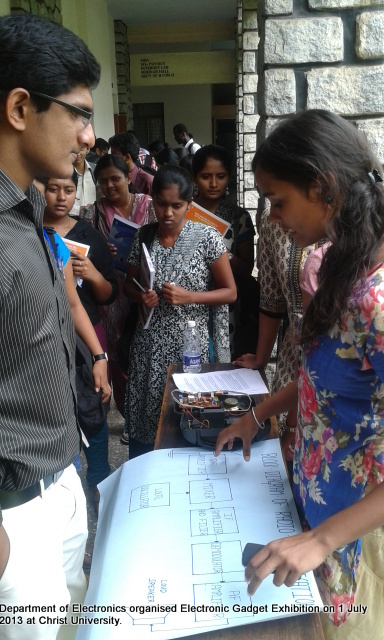 It gives an opportunity to students to bridge the gap between theory and practise. 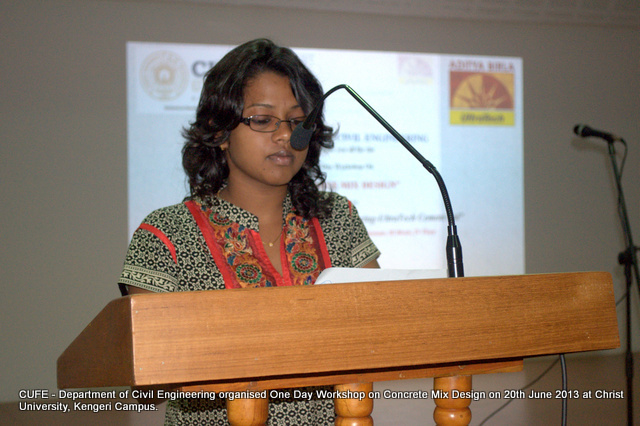 CUCA 2013-14 was inaugurated on 20th June, 2013 by the Department of Commerce. 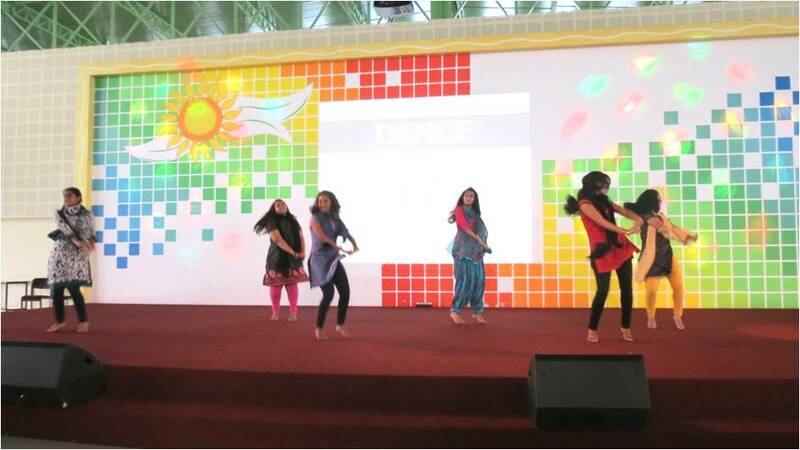 The inauguration started with the invocation dance by the department dance team. The CUCA video which followed right after gave a glimpse of CUCA and all that’s within. 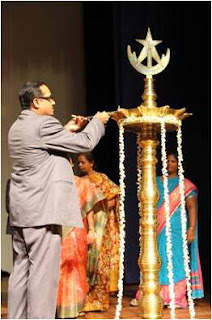 The department music team sang the invocation song while the dignitaries lit the lamp. 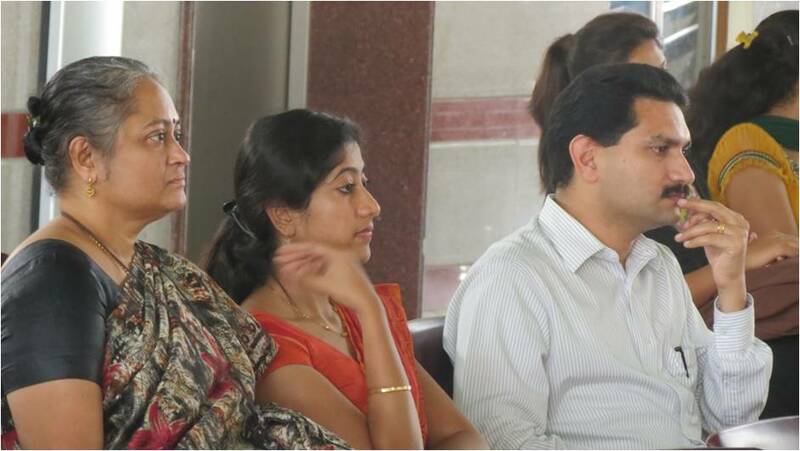 The Head of Department Prof. Nithila Vincent welcomed the gathering and the chief guest for the day Mr Praveen Viswanath. The Associate Dean Thomas Joseph addressed the gathering with an inspiring speech about opportunities as a Christite. 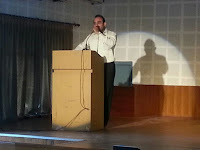 The Key note address was delivered by the chief guest Mr. Praveen Viswanath. Mr Praveen expressed the positive outcomes of the Christ culture. Mr Praveen inaugurated the new CUCA Blog that was launched this year to help students stay updated with all the CUCA activities. The CUCA Blog displays the Vision, The Mission and The Objectives of CUCA. Anto Philip, a 2nd year student of B.Com Honours shared his experience with CUCA and how it has helped him grow as a student and provided him with the platform to showcase his talents. The Department Co-ordinator Dr. Anuradha P.S delivered the vote of thanks and the inauguration ceremony ended with the university anthem. 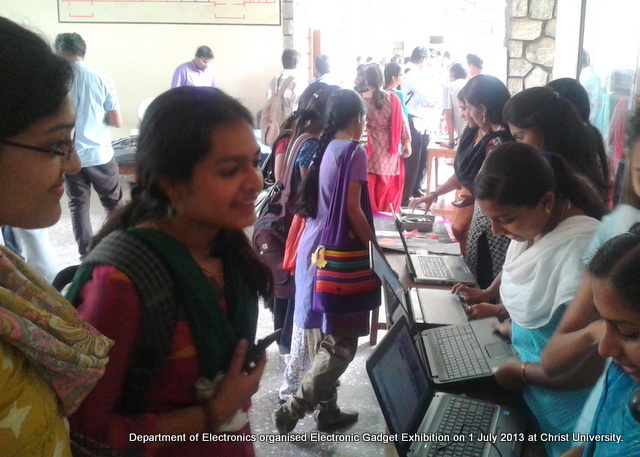 Department of Electronics organised an Exhibition of Electronic Gadget and Computer Hardware. 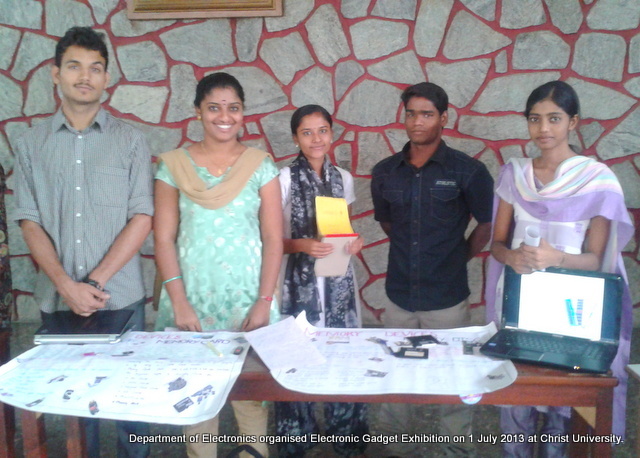 Electronics Club had organized the event, “i2R” an Exhibition of Electronic Gadgets and Computer Hardware on Friday, 5 July 2013 by V SEM BSc PME and CME students of the university. 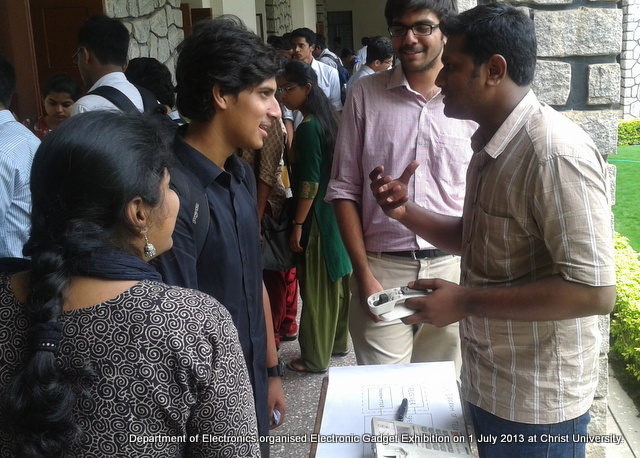 It was arranged at ground floor, Block 2 between 12 and 2 pm, with 19 teams participating in the exhibition. 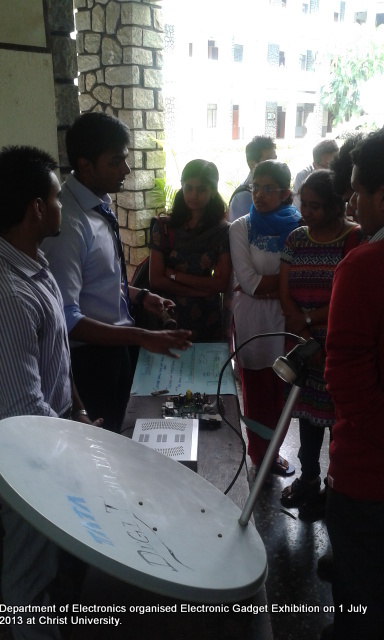 The PME students exhibited mainly the consumer electronics related gadgets like, Television, Mobile phone, Dish antenna, Set top box, Radio, Video game unit, Calculators, Telephone etc. 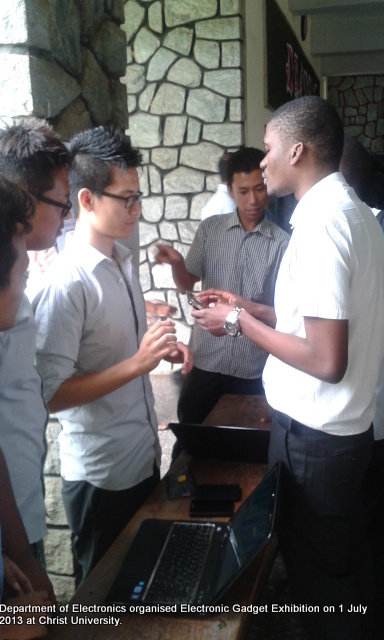 The CME students explained the working principle employed in various computer hardware parts including mother board, Hard disc, RAM, Memory devices, LCD monitor and Mouse to the visitors. 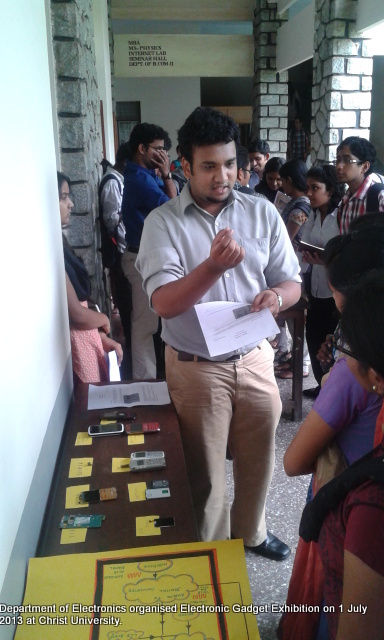 All the teams used actual gadgets supported by the charts and power point presentations. 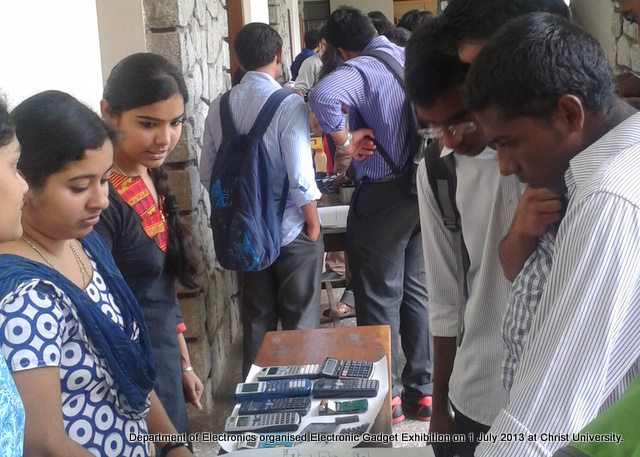 The students from I and III semester classes (PME and CME) went through all the exhibited models and interacted with their senior friends and got their doubts cleared about various electronic gadgets and their principles. 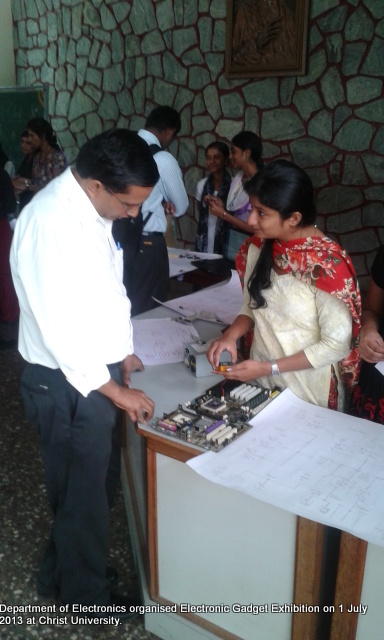 A few teachers from other departments also visited the exhibition and encouraged the students by interacting with them. This exhibition was arranged as a part of Electronics Club activities and the faculty members of department of Electronics provided guidance to the students for the successful execution of the program. Electronics Club extends sincere thanks to the management for giving the permission to arrange this program and supporting club activities. The workshop was inaugurated by Mr. Nagesh.P( Regional Head, Ultratech), Dr. Iven Jose( Associate Dean, CUFE) and Prof. Raghunandan Kuma( Coordinator, Dept of Civil Engineering, CUFE). 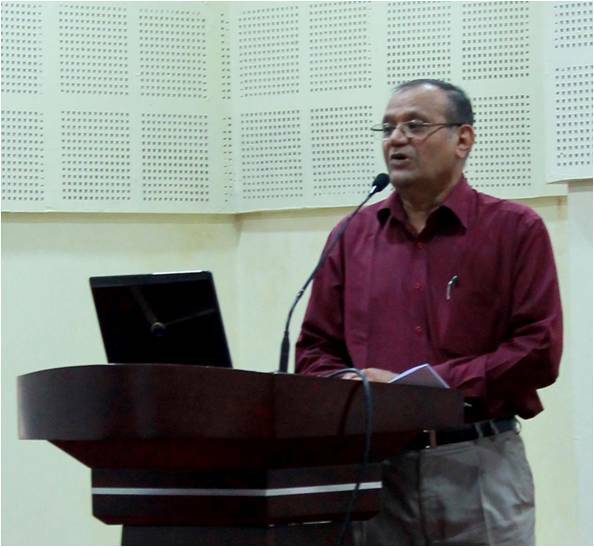 Prof. Raghunandan Kumar welcomed the gathering; Dr.Iven Jose spoke about the importance of concrete for civil engineers, stressed upon the need for Industry Institute Interaction and appreciated the civil engineering department for organising the workshop. Mr.Nagesh and Prof. Raghunandan Kumar gave the “Certificate of Merit” to the Diana Cruzilin Perme, VII semester student for scoring highest marks in Materials of Construction. Mr. Nagesh started his session with the introduction to concrete, materials required and he also made the students to workout few problems on mix design. 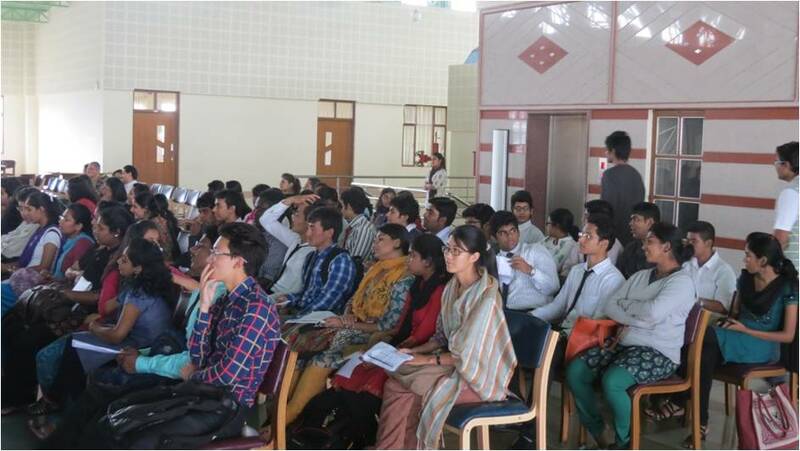 Along with all faculties, 70 B Tech and M Tech students attended this programme.